Glance at the Mobile Symphony Orchestra’s next program and the obvious emerges: It’s perfect for contemporary tastes. Don’t make assumptions about its heft, though. “We recognize this music as new classics. This is not a pops concert. It’s relatively light but it’s not a lightweight concert. It’s full-on masterpieces of cinema, but all by American composers,” MSO General Manager J.C. Barker said. For cinema, the show’s scope is wide in chronology and genre. The oldest work is 84 years young and the most recent premiered in 2012. As far as types of films, take your pick. There’s fantasy, crime thriller, science fiction, western, suspense, horror, epic saga, even a creature feature. “Our attendance is very high, and so for this there’s been a lot of response since there are a lot of people who recognize the music from the movies. It’s an exciting program,” Barker said. The playbill reads like a survey class. Mix John Williams’ work for “The Cowboys,” “Lincoln” and “Catch Me If You Can” with Alan Silvestri’s “Back to the Future,” James Horner’s “The Wrath of Khan,” then Bernard Herrmann’s “Citizen Kane,” “North By Northwest” and “Psycho,” Max Steiner’s “King Kong” and “Gone With the Wind” and even Harold Arlen and Herbert Stothart’s “The Wizard of Oz” and it’s easy to understand the excitement. “We decided to focus on film because that, of course is the next generation of composers. Much like we had Austin Wintory last month, who has gone on into the gaming industry, the new frontier for a lot of newer composers is film music,” Barker said. He mentioned MSO principal bassist and Patron Services and Development Assistant Taylor Hollyer as one who left Juilliard and enrolled at the University of Southern California precisely for its curriculum based around film scores. The aforementioned Wintory was drawn to USC for the same reason. Classical music fans can fall into an easy trap. 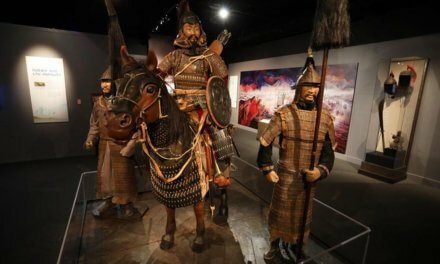 In a genre that stretches back three or four centuries, the idea of “new” can vary from contemporary connotation for some. It’s all in flux. “Twentieth century music now, people talk about Schoenberg and all those composers being ‘new’ music but that music is now considered downright Romantic era. All these guys — Steiner, Herman, Silvestri, Horner, Williams — all these guys 100 years from now will be even more famous than they are now,” Barker said. How do you go about putting something like this together? It begins with guest conductor Emil de Cou. A native Californian who became conductor of the National Symphony Orchestra in 2003, he’s led concerts at the Kennedy Center and on the West Lawn of the U.S. Capitol. In 2005, he was tapped as NSO conductor at Wolf Trap. He also works as musical advisor to NASA and was the first musician to be awarded the agency’s Exceptional Public Achievement Medal. De Cou has appeared with MSO twice before, according to Barker, the last time in 2010. “He and Scott are very good friends but one of the reasons we picked him for this concert is there is no bigger movie buff than Emil. He knows everything there is to know about movie scores. At Wolf Trap, he does a lot of film and orchestra productions with the national symphony. This is definitely his thing,” Barker said. There were a lot of email, phone calls and research between Barker, de Cou and Speck to construct the concert. “We would find a program or score we loved but then we would find out that score wasn’t written by somebody who was American. They were written by someone who was Czech or was German,” Barker said. Bernard Hermann and Max Steiner were naturalized Americans so they fit the requirement. Other notables like Hans Zimmer — famous enough but still German — missed the cut. Barker had high praise for John Williams’ caper flick score. Perhaps some of it is due to the clarinetist’s seat in the reed section. “’Catch Me if You Can’ had an amazing and very difficult score. It’s heavy on solo saxophone. It’s almost a saxophone concerto,” Barker said. Two shows are available. 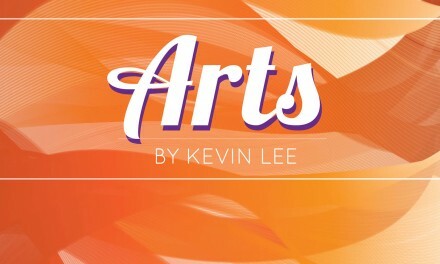 The Saturday, March 11, performance begins at 7:30 p.m. and the Sunday, March 12, matinee at 2:30 p.m. Tickets run $15 to $75 and are available at 251-432-2010 or mobilesymphony.org. 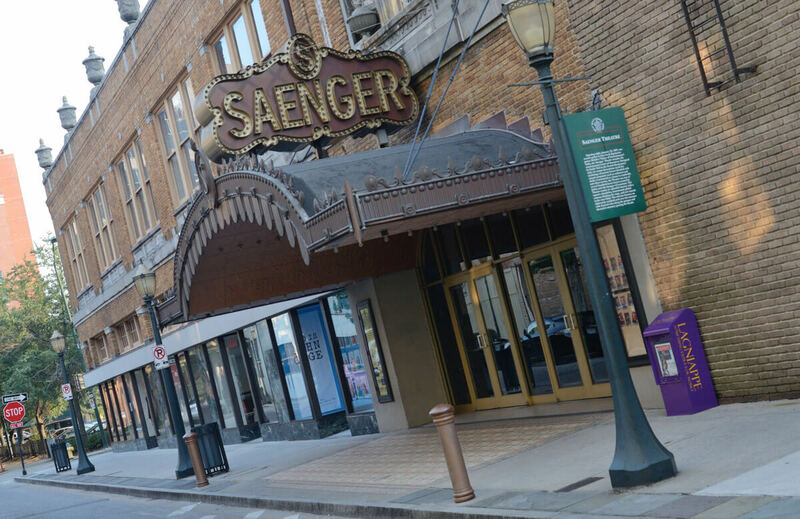 A big show with bigger expectations will stretch the confines of the Saenger Theatre stage. They need room for 82 musicians. “The audience will love this. It’s high on drama,” Barker said.